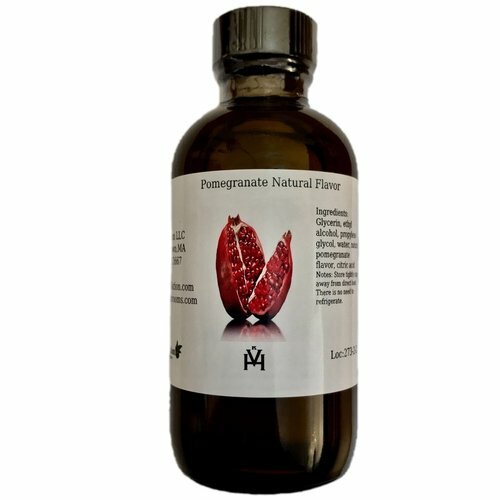 Our Pomegranate Natural Flavor can be used in beverages, baked good and ice cream. This is a wonderful extract for beer, wine, simple syrup and sorbet. We recommend using one teaspoon in your typical cake or cookie recipe. This flavoring is gluten free and sugar free. Formula Change August 25th 2017.